If you suffered a personal injury that has you out of work and unable to pay your bills, you might be entitled to compensation. However, the mere thought of filing reports and hiring attorneys will send shivers down most people’s spines. Not only that, but not everyone has the cash for lawsuits just lying around. So, is it worth the hassle? The good news is, securing legal funding is a lot easier than most people think. Here are some of the reasons why you should consider pre-settlement funding. If you’re considering applying for a loan, there are many factors you need to consider. The most important being your credit score. In order to secure a personal loan, you need a fairly high credit score. If your score isn’t high enough, you might not get it. Another factor is the interest rate, which tends to be around 9-11 percent for personal loans. This means that you will need to return the full amount with interest – whether you win your case or not. 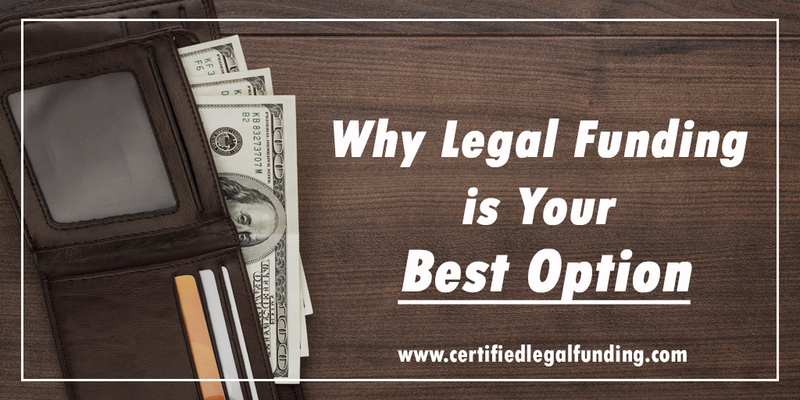 Legal funding, on the other hand, doesn’t depend on your credit score. In fact, the only factor affecting your chances of securing personal injury funding is your case and evidence. Pre-settlement funding can help you cover the costs of living expenses, medical bills and other needs as you wait for a settlement. However, some people will decide to use a credit card instead. Just like a personal loan, drawbacks of using your personal credit card are having to pay back the payments made whether you win your case or not. If you choose to borrow the money from friends or family, there are no fees or interest rates involved, but if you don’t get compensation, you risk permanently damaging your relationship. Most people think that applying for legal funding for lawsuits takes forever. However, applying is pretty straightforward. Most applications are approved in a matter of days. Not only that, some legal funding companies offer same day cash advances. If you are approved for funding, you can receive cash within 24 hours of approval. A non-recourse loan is secured by collateral. In this case, it’s your compensation. This means if you don’t win your case, you don’t have to repay anything – including the advance. If you do win, the money is taken from your settlement. Not only that, but there are also no upfront fees or interest rates to worry about when you obtain pre-settlement funding.